I can hear you screaming:”Not another LED blinker!” and yet here it is, packaged into yet another transparent Ferrero Rocher chocolate box, just like the first one. Why another ATtiny13 LED project? I needed to change the software to add a new feature and I had another box stashed away after Christmas – that alone should have been a reason enough Additionally, I have to admit right here that there will likely be one more post that includes an ATtiny13, LEDs and chocolates before I let it go (soon, I promise) and move onto more serious things, such as the DVD-CNC project that’s been languishing on and off my workbench for more than a year now. 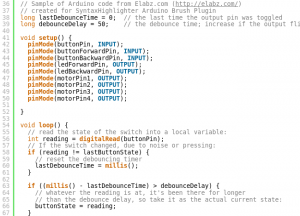 Lots of different MCUs can be worked on using the Arduino IDE, not just the Arduino boards! Arduino IDE (Integrated Development Environment), currently in version 1.0, is a great system for programming the Arduino boards. 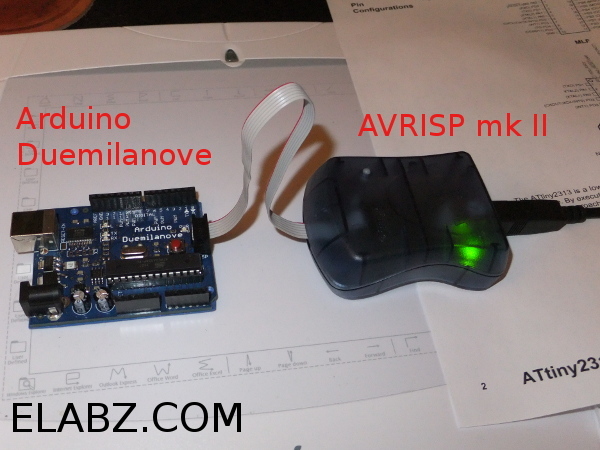 It has an easy-to-learn intuitive interface and comes with all the necessary settings for the most common Arduino boards – Uno, Duemilanove, Nano and others based on ATmega168 and ATmega328 microcontrollers. The latest version also includes some of the most recent ATmega1280 and ATmega2560 boards. Arduino as a system is a great development tool that makes it incredibly easy for a beginner to start programming microcontrollers and for a seasoned programmer to whip up a quick code in a hurry or keep a large embedded project organised when needed. 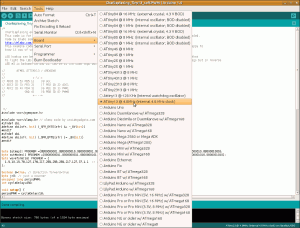 I think it is very valuable for a user-friendly development environment to have a familiar setting to work in: a familiar IDE, set of libraries and a well-known hardware configuration, all of which Arduino provides splendidly. However, the hardware – the Arduino boards, all 150,000 variations of – may not necessarily work very well for every occasion. 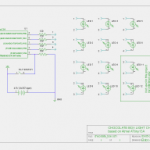 Depending on your application there may simply be no space for a 2″x2.5″ board. Additionally, there’s always the question of cost: an MCU chip and a couple of extra components that you actually need for the project may not always justify the cost of the whole Arduino board, voltage regulators, LEDs and all of the extra goodness it provides. I set out to figure out what it’s going to take to create an MCU development environment in which the code could be developed using all the familiar Arduino tools and then transferred to a stand-alone Atmel MCU so the Arduino board could be reused for future projects, along with all the above mentioned savings. My item of particular interest was to make all this work in Ubuntu Linux – my OS of choice for the last 4 years. In this post I will describe the hardware and the software part of a project involving the use of BLDC (Brushless DC) motor salvaged from a broken XBox 360. 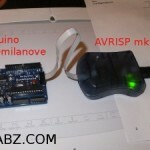 This is a second installment in the series of posts related to Arduino and brushless DC motors. Please see the first part for a bit of info on the theory behind the commutation sequence. Once you understand the commutation sequence for the particular design of the BLDC motor, the circuit design for the BLDC driver becomes pretty clear. It is not much different from a bipolar stepper driver in that we need the be able to both source and sink current at all ends of the windings, except of course in this case there are only three ends whereas the bipolar stepper has four. 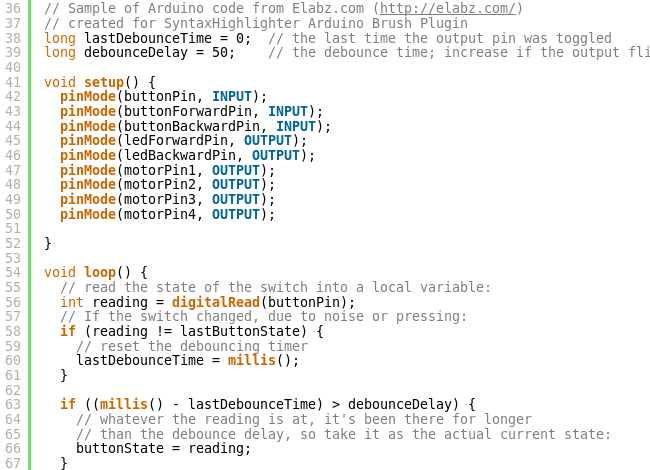 Ever since I published the first lines of Arduino code on this site I was not satisfied with the way it looked. I’ve been using various IDEs (Integrated Development Environment) and advanced text editors for programming for a very long time and have gotten quite used to the software marking various important parts of my programs with different colors and bold fonts. Indeed, Arduino’s own IDE does exact same thing although I have to admit I would love to change the way it marks things a little bit, whenever I get time for it. 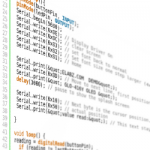 Nevertheless, Arduino IDE’s color-marked up code is very useful and makes for an easier read, especially for someone not familiar with its specialized functions such as digitalWrite() and such. Copyright © 2011 Elabz.com Electronics Blog. All Rights Reserved.